Oh My Daisy Skirt https://www.review-australia.com/au/oh-my-daisy-skirt-navy/RE19SK015.RENVY026.html Dress to delight in the Oh My Daisy Skirt. 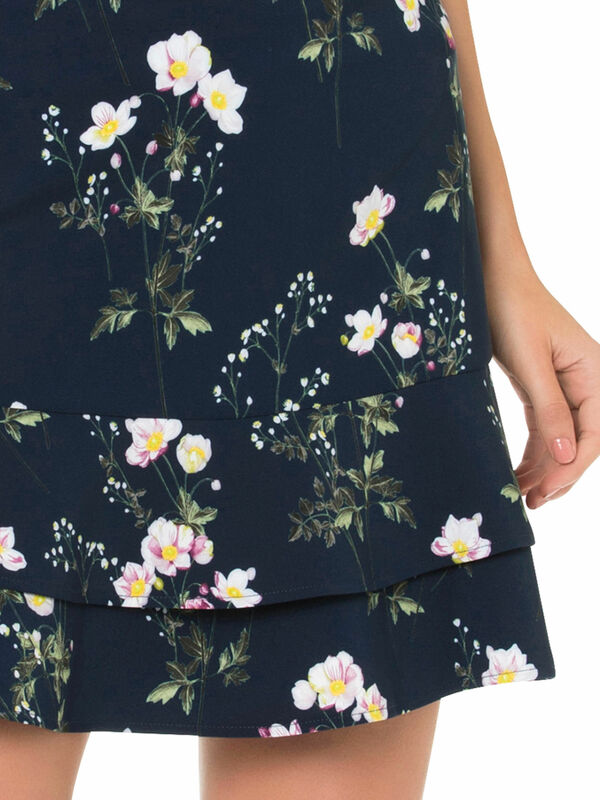 Featuring a stunning wild daisy print on navy, this bold yet versatile style offers a relaxed A-line fit with a layered hem and wide waistband. In a smooth textured stretch fabric, it's polished enough for the office yet playful enough for a party. Dress to delight in the Oh My Daisy Skirt. Featuring a stunning wild daisy print on navy, this bold yet versatile style offers a relaxed A-line fit with a layered hem and wide waistband. In a smooth textured stretch fabric, it's polished enough for the office yet playful enough for a party. Oh My Daisy Skirt is rated 4.9 out of 5 by 27. Rated 5 out of 5 by Kate4 from Favourite skirt, so versatile! I love love love this skirt. Can pair it with so many different tops, white, yellow or pink easily! It is extremely flattering and a very forgiving material. I sized down in it, as the waist was a bit big on me however my waist is quite small and sits a bit higher than normal (long legs and long torso). An absolute must buy! Rated 5 out of 5 by Rosee from Flattering, comfortable and versatile! I walked past this skirt initially but the lovely sales assistant picked it out to try on and I was immediately surprised at how flattering and comfortable it was to wear. Having worn it a few times, I have found its versatility brilliant, as there are many colours you can draw out from the pattern of the daisies. Love it! Rated 5 out of 5 by MotherDuck from Practical and pretty I love my new skirt. It’s comfy, pretty and a great part of my wardrobe leading into spring. It can be worn with darker colours for those still cool spring days or worn with lemon or white for those warmer sunny spring days. A very practical and versatile addition to my wardrobe. Rated 5 out of 5 by Beckycakes from My favourite skirt right now I am loving this skirt. Not only does it look great, but it is so easy to wash - no ironing required! 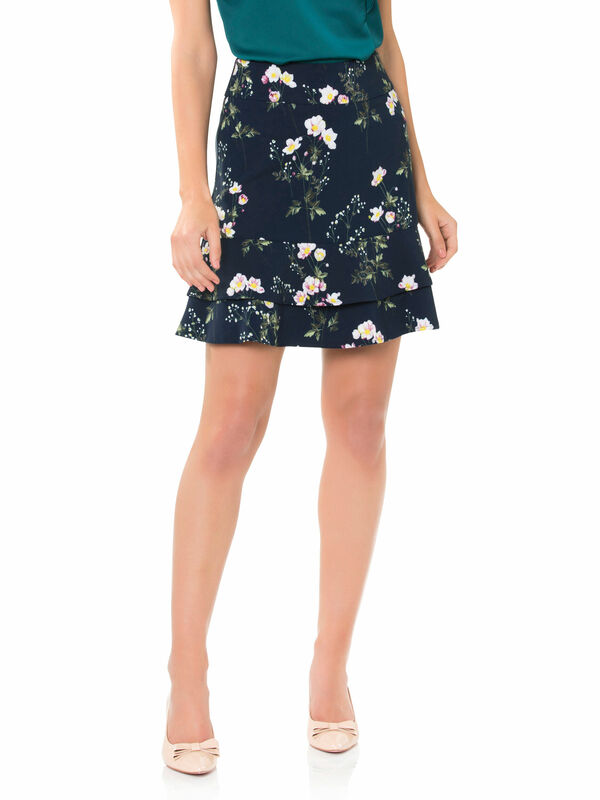 I can dress it up or down and the flowers make it feel suitable for summer while the navy makes it also feel suitable for winter - what more could you want in a skirt! Rated 5 out of 5 by Sylvie25 from Great colours & pretty styling Love the look & feel of this skirt. The frills just melt into the material and it’s so versatile, day or night. Bought the green top too, which is a perfect match to the outfit, although many other colours would also look good. Rated 5 out of 5 by Krissy from Elegant Dressy or Elegant Casual Love this skirt. It is really nice to wear. Love how the skirt fits and it is a comfortable length above the knee. The flower pattern colours go with Review tops, especially plain coloured ones to dress up or dress casually. Rated 5 out of 5 by GoReview!! from Surprisingly awesome This skirt was not on my list but I couldnt help trying it when I saw it in person. It was so comfortable and looked so pretty I had to get it. And it has been one of my fav purchase. Rated 5 out of 5 by Enna from Love it! Great skirt for work or play! I don't usually wear pencil style but this is slightly flared. The fabric is soft with some stretch. Love the double frill at the bottom.